This article describes how the design team at Flexport developed over the last three years. It covers the team’s evolution, roles, meetings, processes, and systems. The team is still relatively small. Most of our learning is ahead of us. However, I think this article provides helpful insights for designers tasked with building a team in an uncertain startup environment. 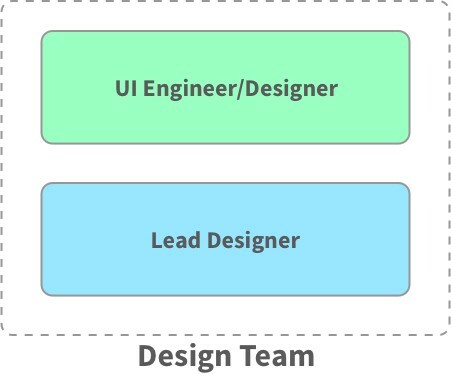 Context defines how a design team forms and functions within a company. Every situation is unique. Therefore, a formula to build the perfect design team does not exist. This is especially true in a startup, where discovering new business and organizational models is key to success. I joined Flexport when there were a few employees in a small office in SOMA. I was tasked with all things design, with product design as the priority. I designed our client, partner, and internal apps, as well as our public facing website and brand material. It was a lot of work and a lot of fun collaborating with business leaders, engineers and our product manager. The design decisions we made — good and bad — formed the foundation of our product and brand identity. The most important thing I did during this time was to get out of the office and meet our clients. The many user interviews I conducted were invaluable. 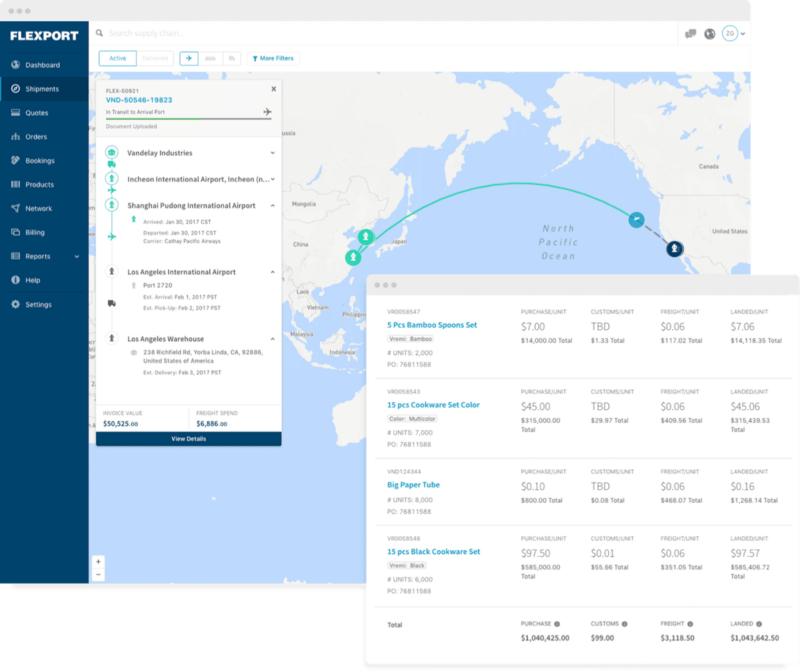 Flexport has since grown into a company of 350+ employees with offices in New York, Amsterdam, Shenzhen, Hong Kong, Los Angeles, Atlanta, and San Francisco. We’ve raised $94M from investors, including Peter Thiel’s Founders Fund, Google Ventures, First Round Capital, Bloomberg Beta, Y Combinator, & more. 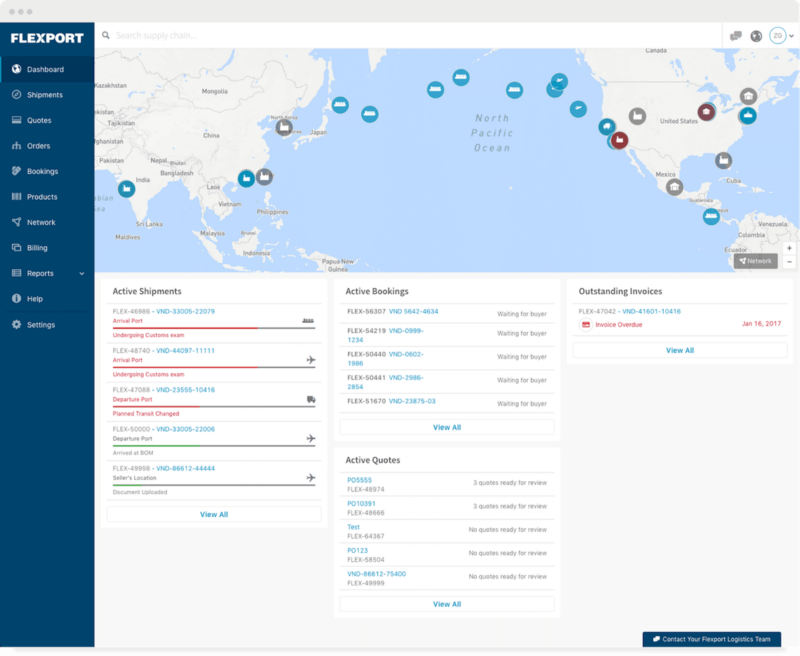 As Flexport grew, so too did our design needs. This list informed the hiring plan. After talking it over with my manager, we determined our first hire should be able to bridge the gap between design and engineering. We started our search for a UI engineer/designer and were lucky to find Andrew Kaye. After Kaye joined, life became better. There was finally another person at Flexport who understood the role of design and could help with the increasing workload. He had the unique ability to translate a beautiful design into our complex codebase, and a cool dog named “<div>,” which he often brought to the office. Shortly after he joined, we opened up two product design positions. We posted the openings on Dribbble, Hacker News, and our careers page. Our recruiting team began out-bounding potential candidates. Kaye and I reviewed their work and experience level. If we thought the candidate was a good fit, we scheduled a call. If the call went well, we scheduled an in-person interview. The work in a candidate’s portfolio illustrates their understanding of composition, visual hierarchy, grid systems, typography, etc. However, beautiful visual design can mislead. Many good visual designers don’t possess the necessary user experience abilities for a product design role. Articulation of design flows and interactions shows a candidate’s competence in interaction design. I love hearing about the tradeoffs designers make, and how they collaborate with engineers to deliver a user experience. 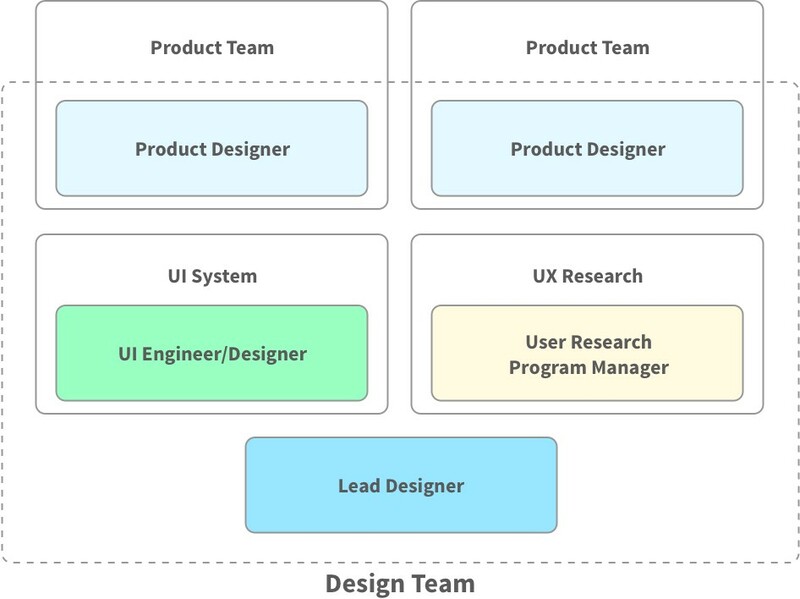 Understanding how user research fits into the design process, and when to employ different methodologies is a mandatory skill for a Flexport product designer. The candidate doesn’t have to be an expert, but we require a general aptitude. It is hard to find people with these qualities, as well as the enthusiasm to learn the complexities of international trade. After two new product designers joined, the complexities of my job evolved. I had to balance design projects with people management and career development. We soon realized the limitation of a centralized design team. Designers felt like they didn’t have a seat at the table because they missed the many small decisions made between engineers and PMs. Engineers and PMs thought they didn’t have a single point of contact for the design team to guide these decisions. To mitigate the issues of centralization, we assigned each product designer to a product team. The product designer sat next to their product team, attended their meetings, and took design ownership of their projects. This structure solved our collaboration issues and increased output. During this time, we defined a new user research role to aid the product designers in conducting foundational and continuing research. We also began to focus heavily on our UI system to ensure consistency. 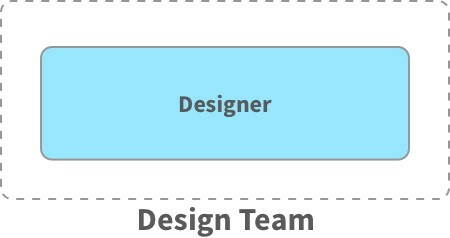 The big missing piece of the team was communication design. Up until this point our marketing materials, brand identity, public websites, etc., were a secondary priority. 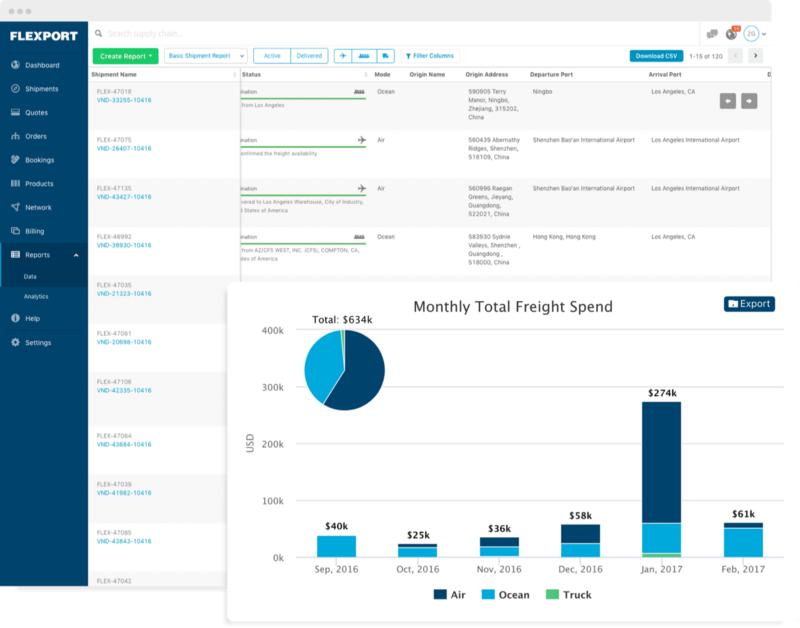 Kaye and I dedicated a few hours a week to updating Flexport’s visual character, and we worked with outside contractors to manage the workload. But without a singular focus, our brand identity suffered. To fix this problem, we brought on a communication designer to take ownership of our brand identity. During this time, we also decentralized the design team’s UI system function, partnering Kaye with other engineers to further develop our front-end architecture. We also solidified our team meetings. We currently come together four times a week. Once on Monday for our design standup, on Tuesday and Thursday for critique, and on Friday for our retrospective. Every Monday starts with a design standup. Everyone on the design team states what they accomplished last week, what they are working on this week and any challenges in their way. This meeting provides accountability and transparency to the team. It reduces duplication of work and increases collaboration. The design team comes together at the end of the day on Tuesday and Thursday for critique. We often invite engineers, PMs, and other stakeholders. We schedule who is going to present work beforehand. Before the work is shown, the presenter provides the context of the project, the fidelity of the design, and the questions they want to be answered. Setting the context provides focus, so we don’t go on tangents that aren’t important to the context of the work. I formally meet with each designer once a week. It is a place for the designer to vent any frustrations, as well as talk about their successes. It is also a mini two-way performance review. It’s much more constructive to provide feedback early and often instead of letting things come our quarterly or annually. It allows many small course corrections as we work to create a healthy design team. It is also the time to brainstorm career growth. Each designer on the team has unique strengths and weaknesses. Having a clear understanding of your competencies and development plan is invaluable. As a manager, it is not surprising to have back to back meetings for the majority of the week, so I block off an hour and a half on my calendar every Thursday. The time is open for designers, product managers, and engineer managers to discuss pressing issues and tactical work. The week adjourns with a retrospective where each designer announces what they accomplished, the frustrations they encountered, and ideas on how to improve the health of the team. The meeting also serves as a way for the team to bond. We often go out for dinner or drinks during this time. Becca possesses the ability to visualize complex datasets in an accessible and beautiful way. As an early employee at 23andMe, she did fantastic work designing how people interact and understand information. We are lucky to have her on the team. Quintin transitioned from a product designer to a user researcher after we realized his rare ability to attain deep empathy with our diverse users. The insights he distills from the countless user interviews and contextual analysis he conducts influences the team’s design decisions, and often form the foundation of new initiatives. Kaye has a history of combining art with technology to solve problems. He received an MFA from the prestigious SAIC, where he later taught. At Flexport he is our unicorn designer, possessing the ability to translate his (and other’s) designs into code. Gentian has a mastery of visual and interaction design. She cuts to the heart of complex problems, creating beautiful design solutions. She does this while continually refining her processes and methods. There is always a better way. This attitude makes her a powerful force on the team. No matter the project — big or small, complex or straightforward — Eytan delivers with meticulous detail and clarity. He is not afraid to collaborate with others to discover the right solution, and he can make sense of any situation. Seth is one of the most talented graphic designers I have had the privilege to work with. He was previously at Box where he helped define their visual brand identity. He now has the responsibility of taking ownership of Flexport’s brand aesthetic. His deep understanding of design principles and ability to execute on a wide range of projects is indispensable. The most important thing I have learned in my transition from an IC to a manager is the power of delegating responsibility, listening, mitigating conflict, and spurring collaboration between roles. There is a lot to learn. This is just the beginning. If you would like to play a role in further defining our culture and solving problems that impact the real world, Join us! I hope this article helps you design a better design team. If you are currently leading a team, or are planning to build one, I would love to hear your thoughts. Find me on Twitter, and Dribbble.